I have a file case in which I keep important documents. One folder, however, holds only strange pieces of paper and random images that I cannot bear to throw away, for whatever reason. 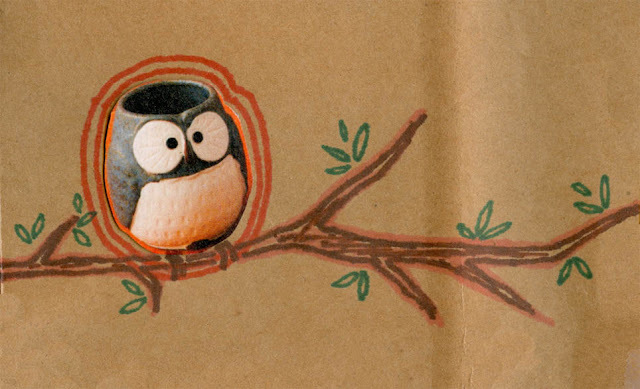 Today, I went through this folder and scanned a few that I thought were particularly strange, appealing or both. 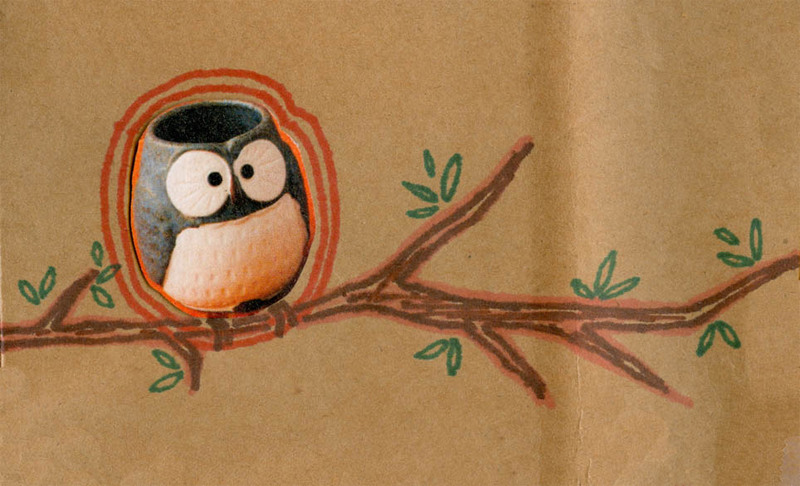 This is a detail from handmade, Alymade wrapping paper that contained my Christmas present last year. 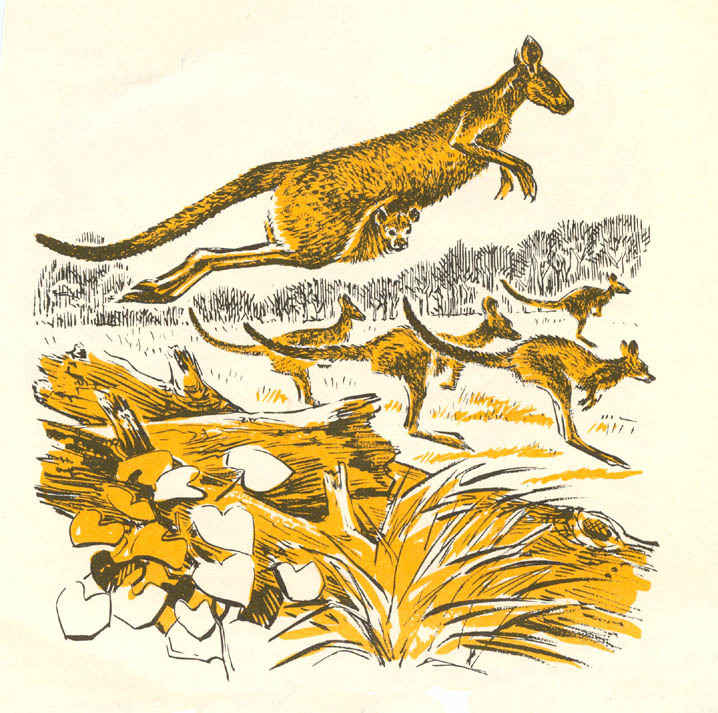 Jumping kangaroos from an illustration I think Spencer gave me, though I can't remember why. 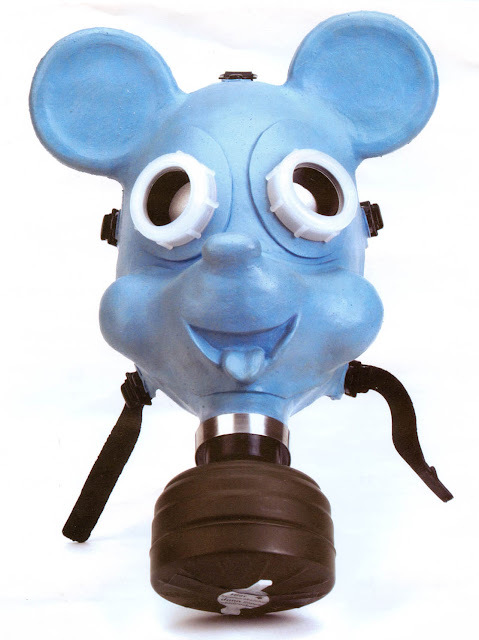 A mouse-shaped gas mask, which I think came from an Adbusters calendar. No clue where this came from. 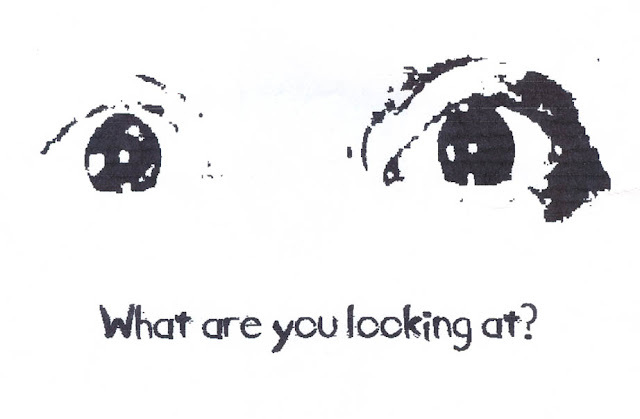 I'm fairly certain those are my eyes, but I can't remember when or why I would have done this, much less printed it out. 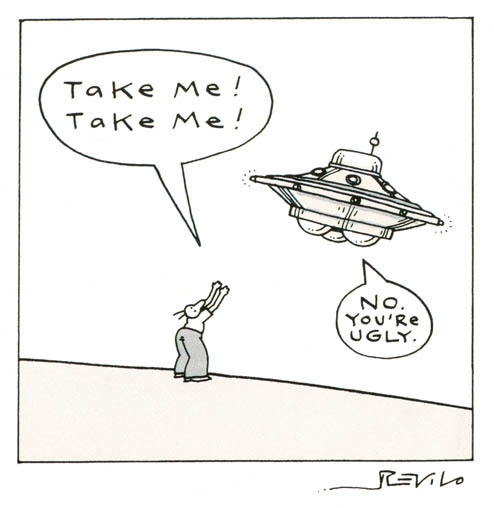 A greeting card Taryn gave me that to this day is one of the better presents I've ever received, Far Side rip-off or not. 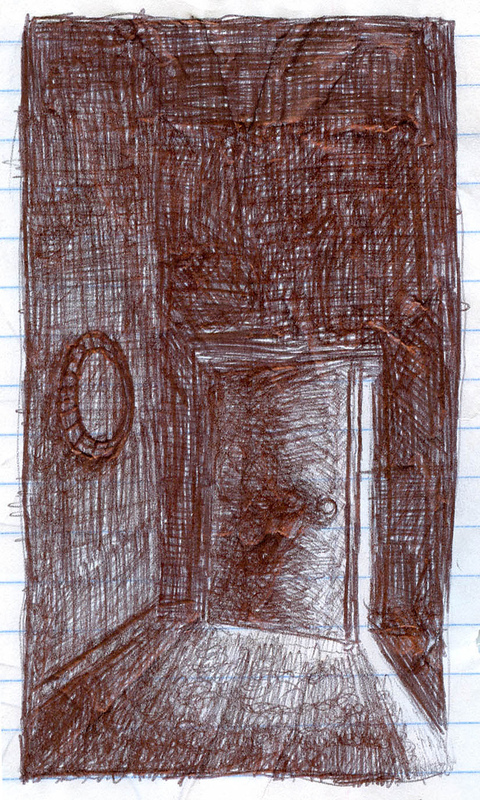 An old in-class doodle, from Detective Fiction, judging by the notes I'd written around it.